越南胡志明市. Vista Verde @District 2 HCMC by CapitaLand. Foreigner Quota Available, 2BR fr S$2xxK / U$2000 PSM. Optional with Fully Furnished Package. Ready for Handover (Immediate Rental Return)! Strategically Located at the Heart of District 2, Ho Chi Minh City. Named after ‘verde’, which means green in Spanish, Vista Verde showcases lush green landscaping and features designed to bring a symphony of nature to residents. Vista Verde is strategically located in Thanh My Loi Ward, in the heart of District 2’s administrative center. It is five minutes away from essential amenities such as Metro Hypermart, Parkson Department Store, Lotte Cinema, Phuc An Khang Hospital, and prestigious international schools such as ACG International School. 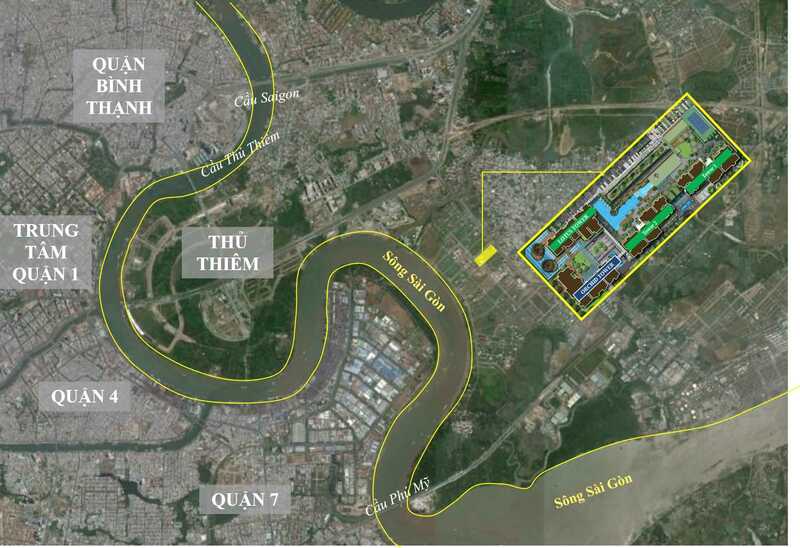 Vista Verde is 10 minutes away from District 1 and 7, with excellent connectivity via the Thu Thiem Tunnel, Thu Thiem Bridge, Saigon Bridge and Phu My Bridge. The project is expected to complete towards end of 2017. Vista Verde provides residents with state-of-the-art recreational facilities such as an iconic gym and clubhouse with 360° view, resort-style swimming pool, lounging islands, jogging track, and tennis court. In addition, a shopping town at the ground floor provides residents with essential retail shops their convenience. Vista Verde has over 30 unit types available in quality finishes, including special units such as duplexes and units with PES. Designed for modern living, units in Vista Verde are designed with spacious living and dining areas, natural ventilation and loggia. The company’s diversified real estate portfolio primarily includes integrated developments, shopping malls, serviced residences, offices and homes. The company also has one of the largest real estate fund management businesses with assets located in Asia. CapitaLand leverages its significant asset base, real estate domain knowledge, product design and development capabilities, active capital management strategies and extensive market network to develop real estate products and services. Vietnam is one of CapitaLand’s key markets in Asia. The real estate market in Vietnam is supported by the country’s strong economic growth, rapid urbanisation and a young and growing population. CapitaLand is committed to being a long-term real estate developer in the country. CapitaLand Group’s current presence in Vietnam is in the four major cities – Ho Chi Minh City, Hanoi, Hai Phong and Danang, in the residential and serviced residences sectors. In the residential sector, CapitaLand has a portfolio of close to 6,000 quality homes across six residential projects in Ho Chi Minh City and Hanoi. In the serviced residence sector, its wholly-owned serviced residence business unit, The Ascott Limited, has a portfolio of more than 1,800 apartment units in 12 properties across the four major cities, making it the largest international serviced residence owner-operator in the country. CapitaLand will continue to contribute to the Vietnamese economy by hiring and nurturing a strong local team, exchanging knowledge and skills with local partners and contributing to the local communities’ underprivileged children and environment through corporate social responsibility efforts. What’s Near By Vista Verde?